Submission deadline: 13 January 2016 (12:00pm noon PST). Submission Format: 6- page proposal in Extended Abstracts Format. Chairs: Moira Burke, Franca Garzotto, Jaime Teevan (panels@chi2016.acm.org). At the conference: Accepted panels will be presented in a 80-minute session at the conference. 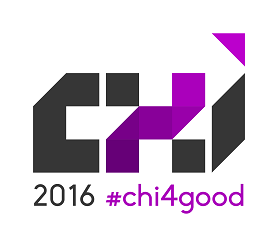 We look forward to seeing a strong and engaging panels program at CHI 2016. The format of each panel session is intentionally left open to encourage creative and unexpected submissions. Panel organizers are encouraged to think of ways to promote lively dialogue between the set of experts on the panel and the audience. Panel sessions should not be treated as paper sessions consisting of a set of talks with limited interaction among panelists, but rather should spark debate and careful thought. Panels are 80-minute sessions that involve significant interaction with audience members. Effective panels have been designed in many forms and formats. For example, a panels session may include a group of experts invited to debate a topic or theme, enact some aspect of their expertise, or reflect on and compare their diverse experiences. ACs may suggest panels to surround accepted or rejected full papers if the topic seems particularly interesting to the community and appropriate for panel discussion. They may do so in collaboration with the paper authors or simply suggest to the paper authors that they should submit a panel. Either way, these panels would go through the standard panel review process. Panels must include involvement from the audience, through questions and answers, voting or critique of the experts’ presentations, extensive discussion, or other mechanisms, and your proposal should explain how you would involve the audience were your panel selected. While we encourage panels that provide multiple perspectives and controversy, rancor or ad hominem attacks are not professional and should be avoided. We highly encourage panel organizers to minimize the number of panelists to provide for fruitful and satisfying discussion; we will not allow more than five panelists and note that the best panels tend to have fewer speakers (four or fewer) and more interaction with the audience. We also encourage debate and discussion. It is important to us that panels represent the diversity of CHI’s community, including diversity of gender, experience, national origin, native language, race, ethnicity, and sexual identity. Panels that have all representatives from one part of the globe or one gender may be less favorably considered. Additionally, a diversity of ideas is strongly encouraged. 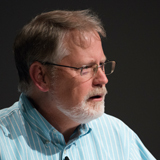 Panels can cover issues of pragmatic or applied importance in addition to research issues. Panels are a great place to sound some of the major debates of the field, whether about how we develop scholarly knowledge or teach and apply that knowledge. Panels proposals must be submitted via the PCS Submission System by January 13, 2016 (12:00PM noon PST). The Panel proposal must submit an extended abstract submitted as a single PDF file. Panels will have a mix of invited and curated content. All proposals submitted through this open call will be Curated. We will determine which panels are accepted on the basis of the review criteria below, and may decide to bring in outside experts for further review. Organizers will be provided with the reviews of their submission after the decision is announced. There is no mechanism for author response in the review of panels, and decisions are final. In some special cases, the Panels Chairs may request changes to the panel proposal as a condition of its acceptance: a “conditional accept.” We encourage panel organizers to respond to suggestions from the Panel Chairs as part of the conditional accept rapidly and to engage in constructive dialog to produce the best overall panel experience for the conference. Authors will be notified of acceptance, conditional acceptance or rejection on 26 January 2016. The organizer (i.e., the “contact author”) of accepted panels will receive instructions on how to prepare and submit the camera-ready version of their panel. These will be due on 2 February 2016. Content that is unlikely to be seen by CHI audiences elsewhere in the conference.